Refresh is a Christian conference designed for foster and adoptive parents, kinship providers, grandparents, and others who care for God’s orphaned and vulnerable children. We understand firsthand that this journey can be difficult and lonely. The Refresh Conference is a time for you to escape from the distractions and chaos of life and be refreshed, equipped, and inspired. This breakout will explore the role of a foster parent in implementing effective transition plans for foster children. Topics include preparing your foster child, forging relationships with biological and adoptive families, engaging workers and the legal system, and maintaining connections with children and their families. This breakout will explore the importance of self care for foster and adoptive parents. Topics include the risk of secondary trauma and burnout for foster and adoptive parents, the importance of self care, creating space for self care in a busy family, and practical ideas for foster and adoptive parents to build self care into their lives. City Without Orphans Fundraiser. Fresno, California. More information TBA. 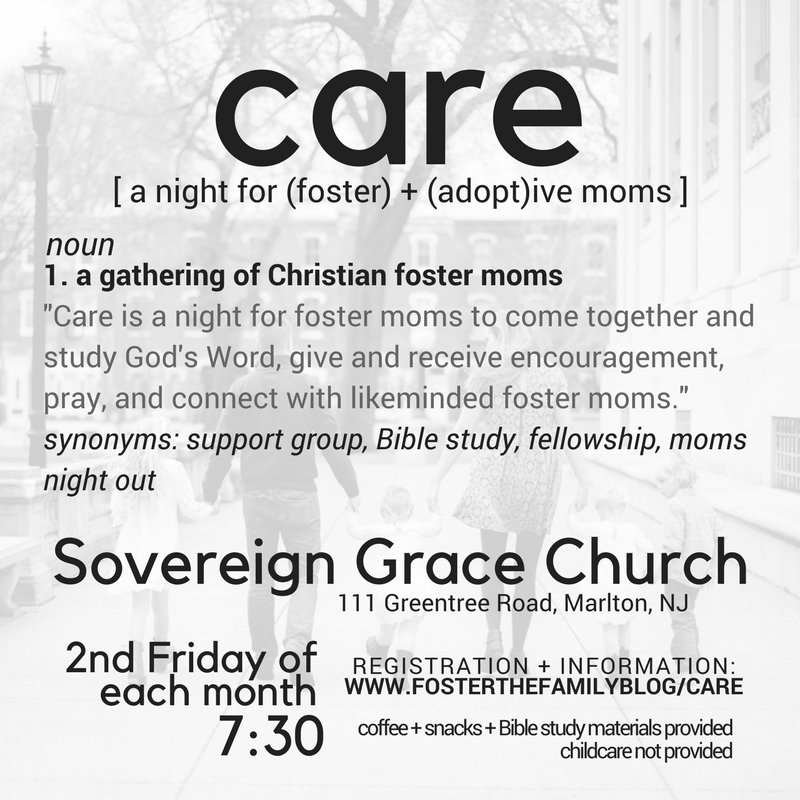 WHAT: Bible study, support group, prayer time, fellowship, question & answer session, and general "you understand my life" get together for foster and adoptive moms. Learn how to become a foster parent in NJ and make a real difference in the life of an abused or neglected child. The Refresh Seattle Conference is a time for you to escape from the distractions and chaos of life and be refreshed, equipped, and inspired. Learn more about adoption and foster care. Main sessions, breakout sessions, panel discussion, representatives from state and local agencies. Jamie will be participating in a panel discussion for foster parents as well as presenting the closing main session. Also, visit Jamie at the Foster the Family resource table to introduce yourself, ask questions, or buy products! Deeply Loved: retreat for foster and adoptive moms is coming to the beautiful Northwest Montana! We need each other to do what God has called us to do. You are deeply loved and are called to love deeply! Relax: A kid-free weekend in a 4-season destination resort with meals provided. Plenty of free time to explore downtown Whitefish and even take a nap if you'd like! Connect: Come ready to meet other moms just like you, wherever you are on the journey. We hope this weekend will allow you to connect with others, form new friendships and deepen those you already have. Be Encouraged: Our main goal is that you are encouraged in the fact that God loves you and is writing your story. Looking for a retreat for foster and adoptive moms that has the sole focus of nurturing moms? Then you are looking for The Rejuvenate Retreat. You can join with other mom’s in the trenches while receiving encouragement and rejuvenation. You’ll be pampered and encouraged to rest and relax. You’ll be able to take a breath and enjoy the beauty of nature. Enjoy worship, encouraging, faith-based messages and times to share struggles and victories with moms who understand what you’re going through.